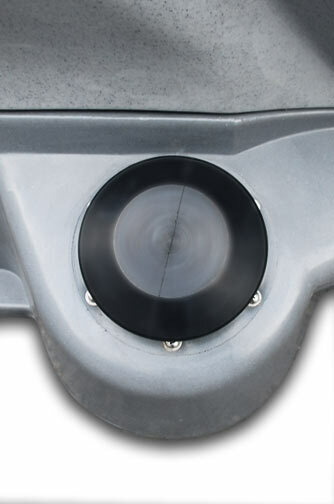 The MINIHEAD is CALLAHEAD’s self-contained flushing toilet system that requires absolutely no water hook-ups for its operation. Ideally suited for construction sites, temporary offices, trailers, boats, buses, home renovations and other various sites and situations where a complete portable toilet is inconvenient. 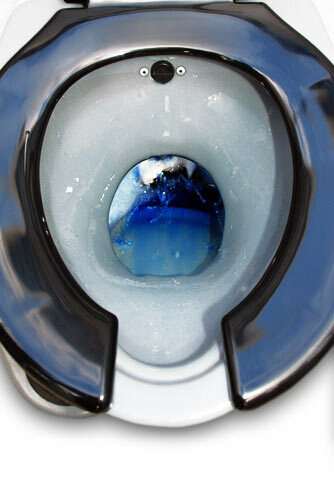 This mini porta potty is designed to replace porcelain toilets in any location necessary. Since the flushing system is a foot operated pump, the MINIHEAD provides every user hands-free operation for their hygienic protection. The toilet has a standard size seat, and the port a potty is equipped with handrails on either side for easy mobility. 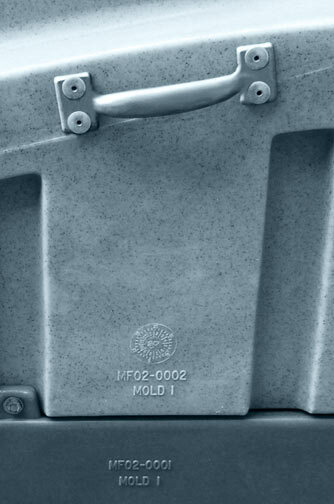 The MINIHEAD portable toilet is constructed of a very sturdy grey polyethylene for a durability that will last. Its compact size makes it the ideal solution to fit in those tight spaces, such as storage areas or closets, if necessary. Whether you have very limited space available, an emergency situation or a contracting job site, you will require restroom facilities. 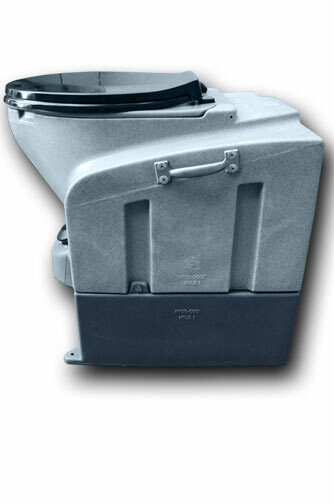 The MINIHEAD porta potty is especially useful for frequently moved vehicles such as trailers, boats, trains, RV’s or buses with no sewer or water connection capabilities. Whether your location is in a high rise building with no elevators, where you have very limited space available, or you have no possibility of connecting to water, CALLAHEAD’s MINIHEAD is the perfect solution. 15-Gallon Capacity (32 average uses before service is required by Call-A-Head service personnel) • Weight (approximately) 33 lbs. • Width 23” (Fits through closet door opening) • Depth 24 1/2” • Seat Height 21 1/2” • Easy to clean, sloped, contoured surfaces • Self contained, simplified plumbing system • Dual all plastic filter • Hands-free, hygienic, foot operated pump • Tank, seat, bowl & flapper valve made from high strength, impact resistant Polyethylene. 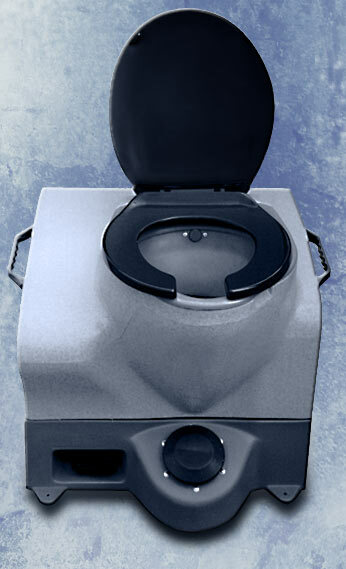 CALLAHEAD has the largest variety of equipment to accommodate any of your portable toilet rental needs, big or small! Small Footprint fits through a Closet Door!